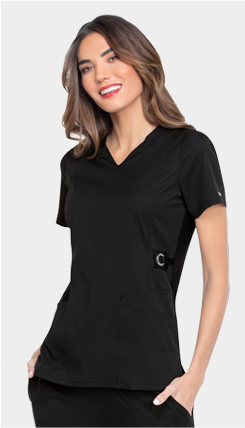 Ultra chic, sophisticated scrubs feature soft-touch fabric, flattering silhouettes and signature Parisian-inspired flair. With inspirational messages (en franais) tucked into the front pocket and glossy logo hangtags that double as bookmarks, ELLE's playful yet personal vibe speaks the language of modern medical professionals. Tailored tops made to perform, with a touch of ribbed texture for an ultra-flattering fit. Clean, contemporary lines and polished details make these luxuriously light jackets perfect work-to-life pieces. Our easy-wear scrub pants have the details you need and the design flair you want. Complete your look with our beautiful, art-inspired scrub tops. Mon Dieu! Get the latest news on new releases and events.